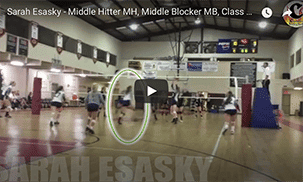 An odd post on a highlight reel website, but we are all about sports and helping athletes — that includes parents too. My role for our school volleyball team is to plan our banquet on a limited budget. I thought wrapping mini chocolates in volleyball wrappers would be a nice touch. 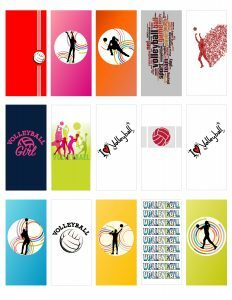 Sure, you can buy volleyball mini chocolate wrappers customized or you can purchase a template that can be downloaded and printed. Well, being the technology maven, I decided to make my own volleyball mini chocolate wrappers for the mini hershey chocolates and thought I’d share them here. These wrappers are easy to use and quite affordable – they are FREE. Print them on your color printer, or do what I did and take the file to Staples – $0.59 per sheet of 15 mini chocolate wrappers. Staples (or Office Max) also has a sheet cutter in store for your use. Makes it a lot easier to cut so many than doing so by hand. I did find it a little challenging to line up their paper cutter with my lines, so I’d recommend experimenting on white paper until you are comfortable. A few labels had to be hand trimmed when I got home. I also didn’t have any guides on the white labels. I’ve since added a border for you to follow when cutting to make it easier. When you wrap your mini chocolates, line the design up on top of the chocolate, then crease one side of the wrapper. Wrap around the chocolate and crease the other side — made for a much tighter wrapper by creasing. A little glue stick and you’re done! One thing I noticed when wrapping is that depending on where the design is on the label, you might need to trip just a little off the end. You’ll see what I mean when you wrap your volleyball mini chocolate wrappers and come across one too long! This .pdf file should print 8.5″ x 11″. I’ve personalized ours to include our team name on them, but you can download a generic “volleyball” version for your use. 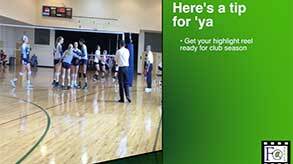 Enjoy this free volleyball mini chocolate wrapper template. Click on the picture to download. If you have any questions or problems downloading, just drop us a line. I’ll add additional sports soon!